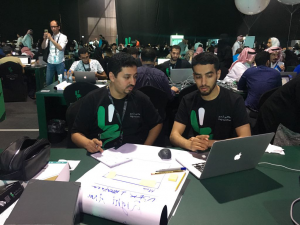 The Deanship of the Information Technology team will participate in the biggest Hackathon in the Middle East organized in Jeddah. 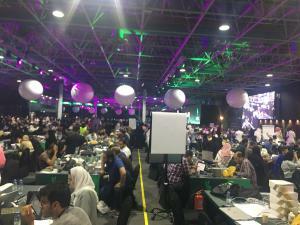 The Hackathon is reckoned as the first of its type that will witness participation of more than 3000 developers from more than 100 countries around the world. The event is organized by the Saudi Federation for Cybersecurity, Programming, and Drones with the aim of attracting leading programmers from around the world and challenges them to innovatively leverage technology to enrich the Hajj experience. This event illustrates the Kingdom's commitment to becoming a regional and global leader in technical innovation, developing both environment and infrastructure that benefits the nation’s young people, providing them with diverse opportunities and achieving the objectives of the Kingdom Vision 2030.